Mercedes-BenzMercedes-Benz has identified a power-steering-fluid leak plaguing its Sprinter vans. “This is being done as a proactive measure to minimise downtime,” she said, adding that the vehicles can still be driven safely in the event of a leak. 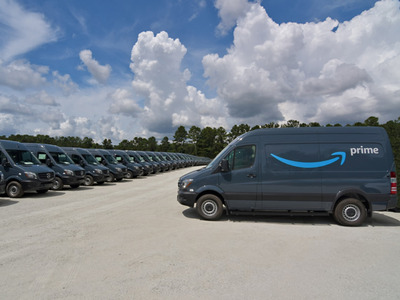 Amazon announced its bulk order of the Prime-branded vans at a joint press conference with Mercedes-Benz in September celebrating the opening of the automaker’s new factory in North Charleston, South Carolina, which specialises in making Sprinter vans.